If there’s one thing I’ve learned during the last few months working on Project Yankee, it’s that balancing the task of building a car for SEMA while working full time as a Speedhunter is not an easy task. But even with SEMA now upon us, I somehow managed to slip away for a few hours on recent Saturday, heading to Famoso for the 2016 California Hot Rod Reunion. As usual, I was on the hunt for some cool hot rods and vintage drag machines to spotlight, and this 1933 American Austin Bantam is one that ticked all the boxes. Part of a big contingent of cars that came down from the Pacific Northwest, Loose Tooth is a perfect homage to the wild drag racers of the ’60s. 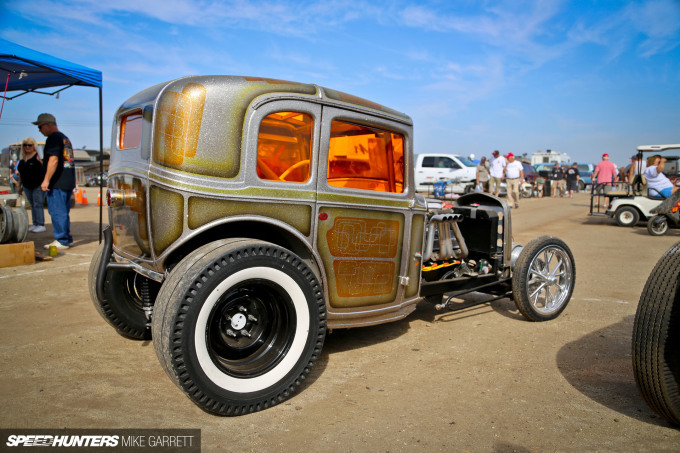 During the ’60s, European imports were popular among hot rodders and racers, and while it was assembled in America the Bantam was no exception to this. Then again, aside from the basic body, these things didn’t share much with any production car. 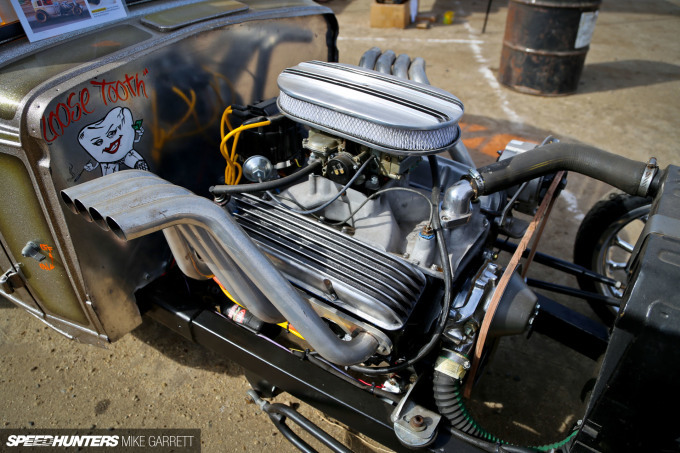 Sitting between Loose Tooth’s chassis rails is a 327 Chevy small block, which even in naturally aspirated form makes plenty of power to push the little Austin down the drag strip. Up front are 18-inch Radir skinnies, and the Wilwood disc brakes behind them are some of the only modern parts that you’ll find. 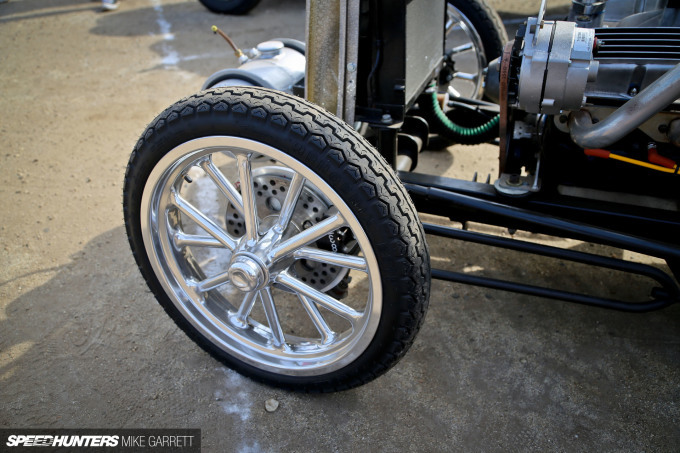 Out back is a stout Ford 9-inch rear end with 4.56 gears and a pair of pie crust slicks mounted on steel wheels to put the V8 power to the ground. 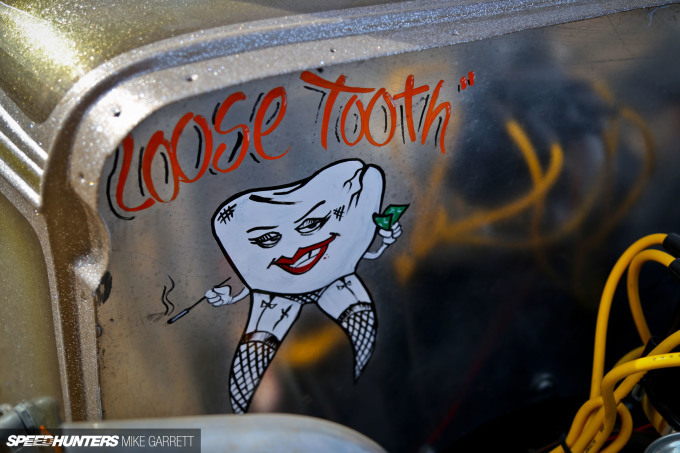 But like many drag machines built during the ’60s, Loose Tooth is about more than just going fast. The body, for example, is coated in a radical metal flake paint job. And the windows have been tinted orange. Because why not? 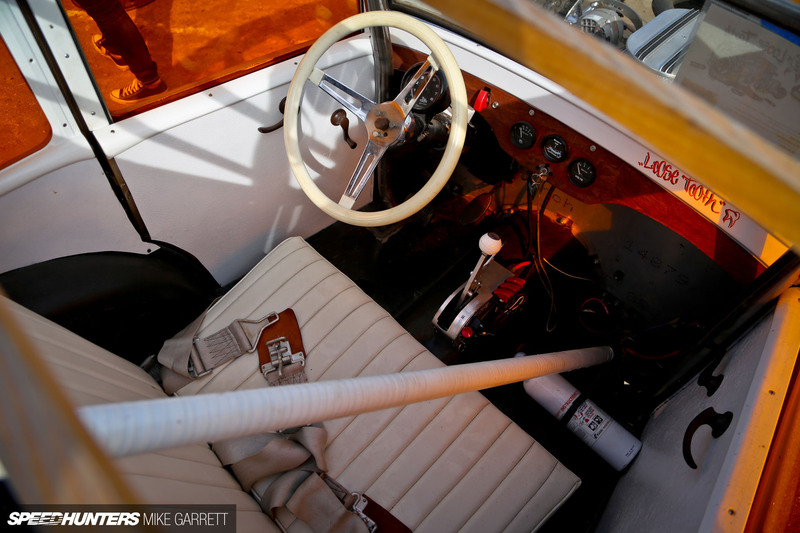 Inside the cabin is that mix of speed and style that makes ’60s racers so great. 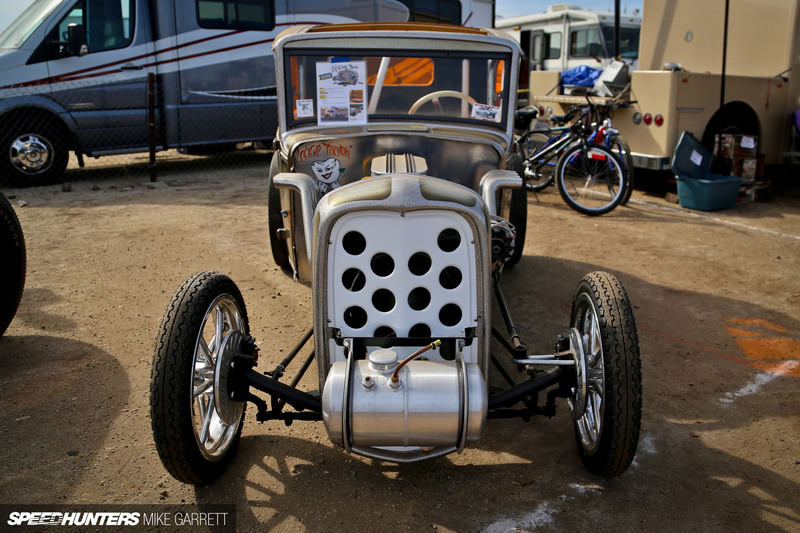 There’s a full cage of course, and that shifter operates a GM Powerglide transmission. 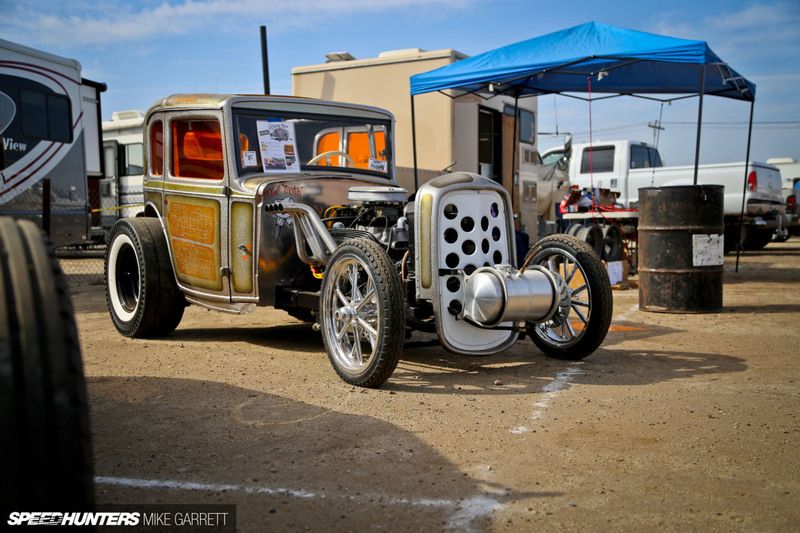 When dragster and hot rod mix, you get some beautiful things, and Loose Tooth’s period-correct style made it one of the coolest machines at this year’s CHRR. 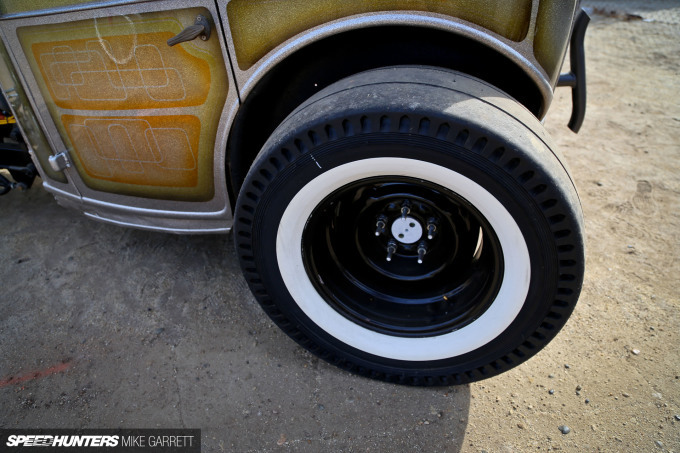 Stay tuned for more from Famoso at the completion of our 2016 SEMA Show coverage. FINALLY another American car feature! Nothing against the European and Japanese cars, love those too but damn, the bias is evident. Thanks for sharing! 370 Hemi This is KIND OF an American car. American Bantam did come up with the Jeep, but in 1933 they were still heavily involved with Ausin, the British car maker. 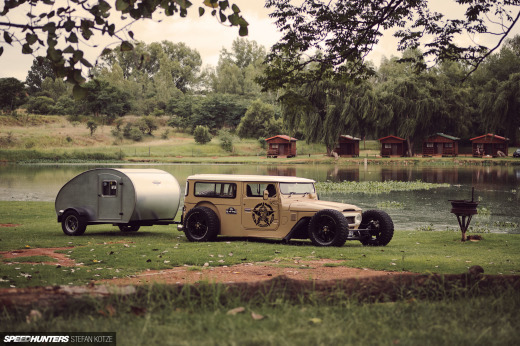 The car above is based on the Austin 7, more or less, which is roughly analogous to the Model T or maybe the Model A in the UK. BattleRabbitI'll take what I can get. 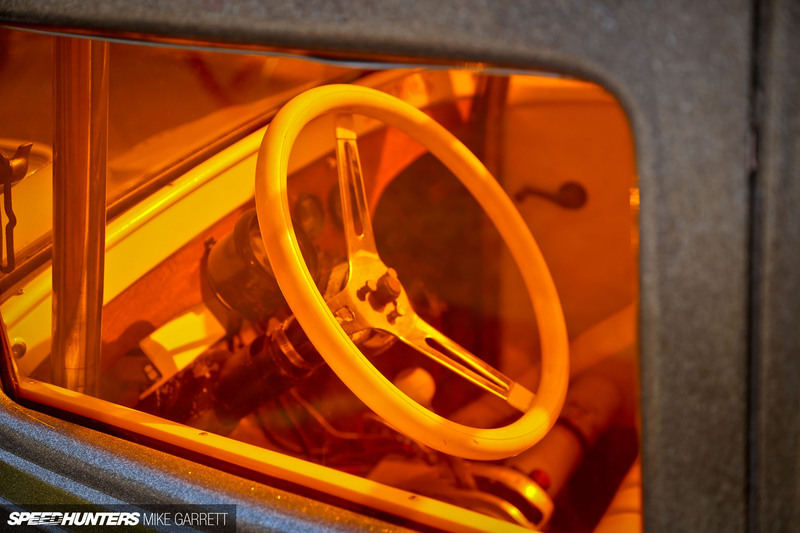 Right now, unless it's the project Yankee, the article will either feature a Japanese car or a European car. 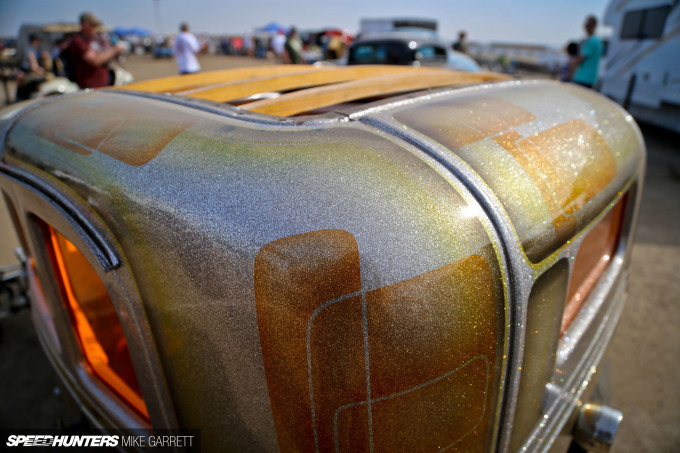 The colored windows were very popular back in the 60's on Gasser's - Nice touch! I bought a top of the range Renault 5 after earning $8880 this-last/3 weeks and-just over, ten thousand last month . without a doubt it is the coolest work I've ever done . I actually started 3 months ago and straight away began to bring home more than $88...... per hour .